9th Street Yoga is back at Ohme Gardens, offering yoga classes on Wednesday evenings in June, July, August, and September!! Admission is $10, paid by cash or check at the Ohme Gardens office upon entry. BYOM (bring your own mat)! 🙂 And props if you like to use them in class. Now Offering TWO Yoga Classes! Aaaaah, choices… It’s a beautiful thing! 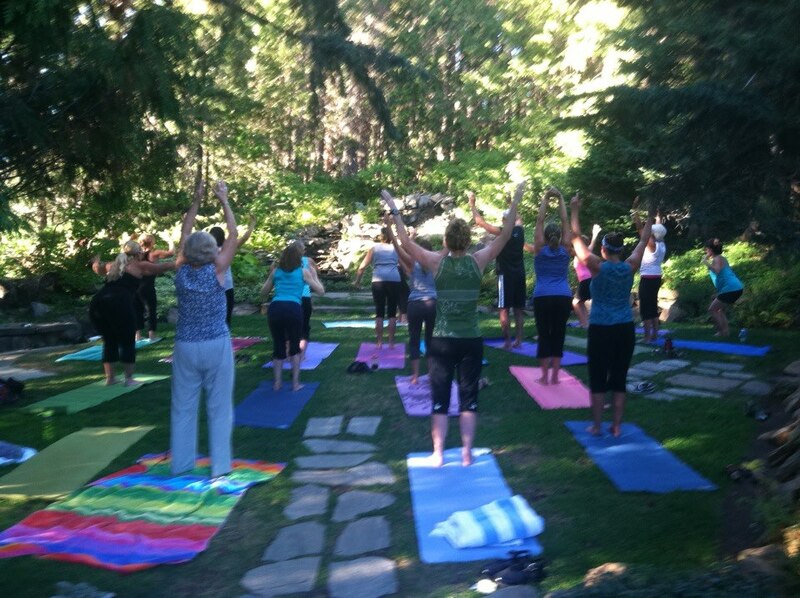 Our friends at 9th Street Yoga and Gold’s Gym of Wenatchee are now offering two yoga classes on Wednesday evenings at Ohme Gardens! You now have the option to get your bliss on at either 6pm or 7pm, with Ohme Gardens as the ultimate yogic setting. To drop into a class, just pay $10 (cash or check) at the Ohme Gardens ticket office. Bring your own mat, or just practice on the grass! Questions? Call 509-662-5785 or email us at ohmegardens@charter.net … Namaste! Photo courtesy of the Gold’s Gym of Wenatchee Valley Facebook page. Categories Select Category Garden Events Garden Projects Miscellaneous Share Your Story Summer Concert Series Uncategorized Yoga!